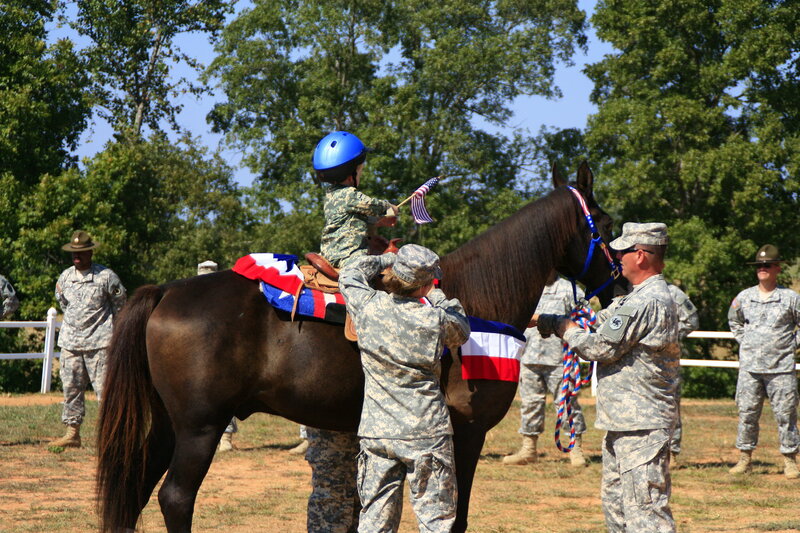 In an effort to honor, thank and give back in some small measure to our military personnel for their service and sacrifice, Rising Hope Farms wishes to open our farm and share the healing power of horses with American servicemen and women. You have served us, now let us serve you free of charge. 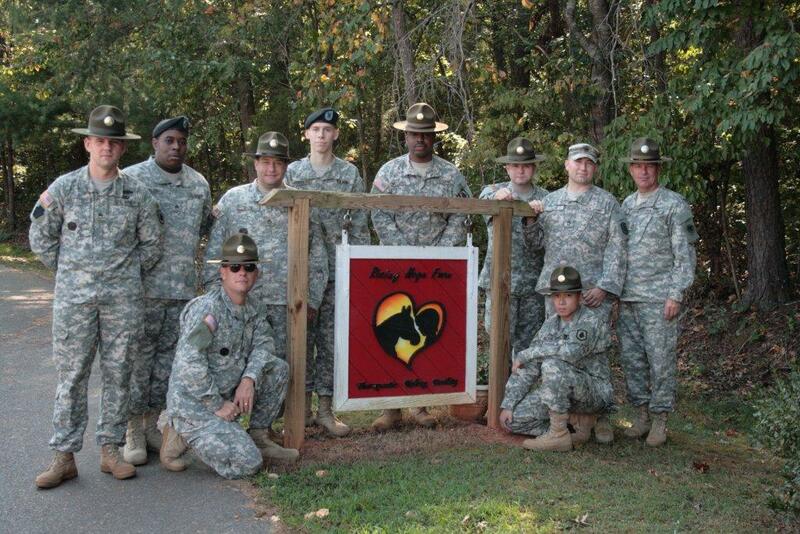 This Program is fully staffed by military personnel and a PATH Intl. Certified Instructor. 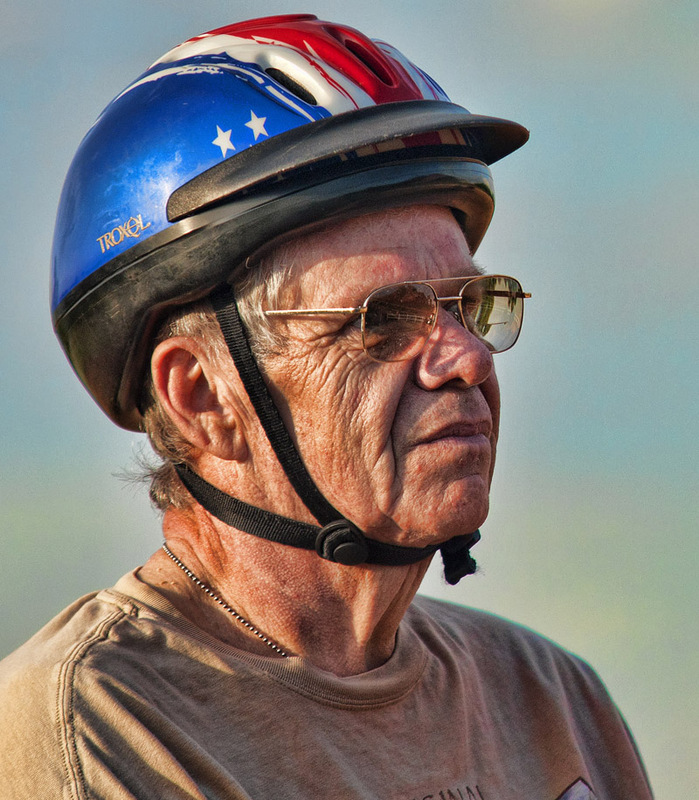 Rising Hope Farms is a 501(c)(3) ministry that provides therapeutic riding, farm and animal assisted activities to individuals with physical, developmental, emotional or learning challenges. Rising Hope Farms provides a safe and welcoming environment in a tranquil farm setting amid the beauty of the North Carolina countryside. Come and enjoy the beauty of nature as we assist you in overcoming issues of stress, trauma, or loss through the gentle bonds developed through the healing power of horses. 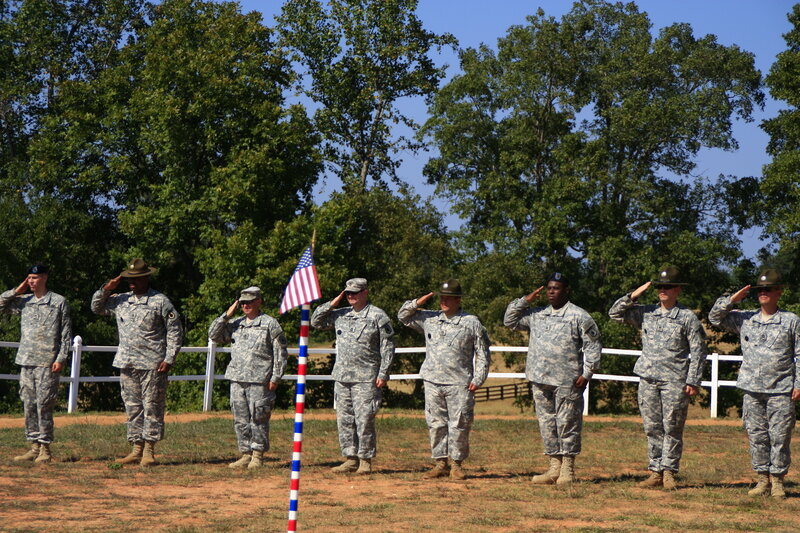 Providing this free ministry is our way of saying thank you to our wounded servicemen and women for their dedication and their sacrifices in serving our country. We would be honored to have you in our program. If interested please contact us now! Click here for a .pdf brochure that you can print or share via email. Enjoy a short testimonial from a decorated veteran and rider. My name is Todd Hilbert and I was drafted into the Army on Oct. 4, 1967, went to Basic Training at Fort Gordon, then Advanced Infantry Training at Fort Leonardwood. 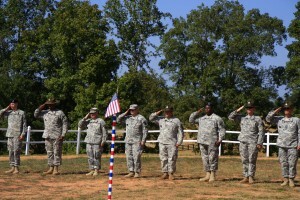 During training I received some awards for marksmanship such as Sharpshooter and Expert. I then was sent to Vietnam-after just three months, I was wounded during a nighttime mortar attack and lost my right eye and suffered some injury to the left one also. I was in the hospital in Vietnam and then Japan, and finally stateside at Walter Reed Medical Center in Washington, DC. After three months, I was medically discharged from the Army with a Purple Heart and several other medals including the Vietnam service medal. In 2002, I was diagnosed with PTSD and have been dealing with some visual problems also since then. I continue to deal with service-connected issues daily but with support and help, I have a future and can look forward. Since coming to the Horses for Heroes program, I have enjoyed it immensely. The wonderful, gentle horses and the caring, conscientious volunteers we have been made to feel very comfortable. The volunteers work hard to protect us, but we have fun with them. Now, my wife is riding also and now we can learn to ride together. It gives us the opportunity to be out in the fresh air and become acquainted with the horses and they with us. 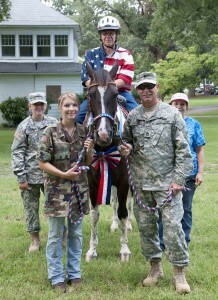 We have immensely enjoyed to Horses for Heroes program and expect to enjoy it for a long time to come. If you can qualify, we encourage you to sign up for a great time of exercise, bonding and falling in love with the horses. We would like to thank Gail for letting us get involved in this program and look forward to being part of it for a long time to come. Thank you Gail for your vision and prayers that have made this possible.